Geekbench and AnTuTu benchmarking websites has revealed a new smartphone coming from Meizu, called Meizu M5 Note. According to the benchmark result, Meizu M5 Note spot a 1080p display and powered by Mediatek's Helio P10 SoC. 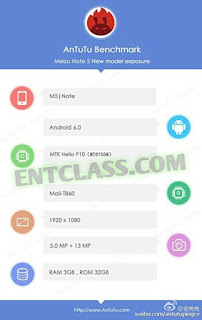 Meizu M5 Note will come running on Android 6.0 Marshmallow straight out of the box, features a 13megapixel back camera and a 5MP front facing camera. The phone will pack a 3GB of RAM + 32GB of inbuilt memory. 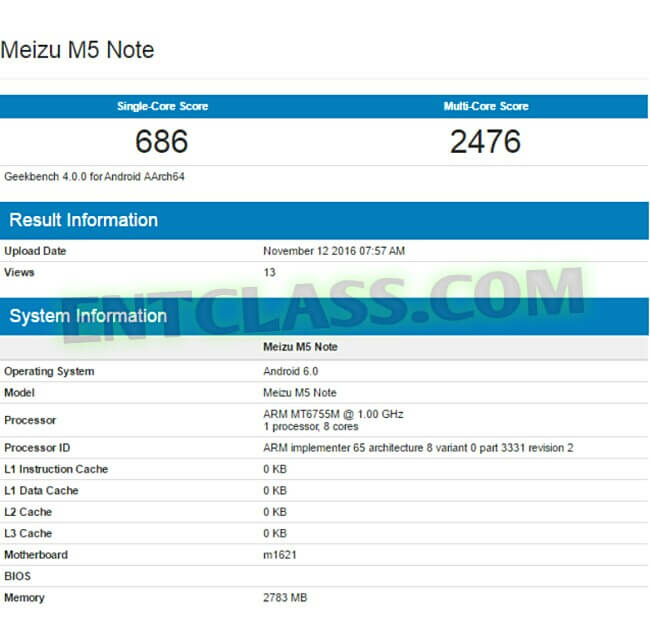 According to source, Meizu M5 Note's worth is said to have passed what's known as China Compulsory Certification (3C).